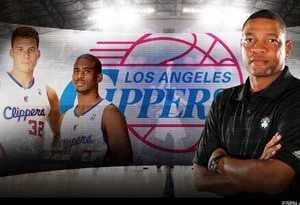 The Clippers head to Brooklyn where Doc Rivers will face two of his former players for the first time. The former longtime Boston head coach is now with the LA and will face former-Celtics Paul Pierce and Kevin Garnett for the first time since leaving Boston last year. Los Angeles is 15-8 after dispatching the Boston Celtics 96-88 in what must have been an emotional game for the former head coach. The Clippers faced the Nets earlier in the season at Staples Center, a game that was a 110-103 win. However, the Nets were without many of their key players, including Garnett and Pierce. Chris Paul had 12 points and dished out 13 assists in the win. For Brooklyn, this game certainly means something emotionally but every game is critical for this struggling Nets team. The Nets faced Boston on Tuesday night, winning 104-96 on the shoulders of Deron Williams, who finally looks to be healthy this season. The win pushed their record to 7-14 and Williams led all scorers with 25 points in the game. Brooklyn has won consecutive games for the first time all season with the victory and have shored up their defense. The Nets have allowed opponents to shoot under 43 percent in their last two contests. Brooklyn has looked like one of the worst teams in the league after a month and a half, but they are finally getting healthy and showing some signs of life. This game should mean a lot for both Pierce and Garnett, and their teammates know that, as well. I realize they lost in November to L.A., but they were a different team back then. The Nets are still not rolling on all cylinders and have yet to play consistent team basketball, but tonight is an excellent spot for them. The Clippers played last night and have been on the road for over a week. Their game against Boston last night was defensive minded affair, and they will be tired out tonight. Brooklyn takes this one on their home hardwood. The Rockets and Trailblazers will face off once again after meeting last month. That game was a lopsided victory for Houston and Portland should be out for revenge in tonight’s contest. Finally healthy, James Harden has been lighting up the net in the past few games. Harden scored 34 points in a 105-83 win at Golden State on Friday and had another excellent game in Sunday’s win over Orlando. Center Dwight Howard also posted a 20 point, 20 rebound double-double in the win. The victory improved the Rockets record to 15-7 on the season. At 18-4, the Blazers hold the best record in the Western Conference and have been a massive surprise this season. While most thought they would be a playoff team, few expected their dominant run to start the season. They suffered a rare loss at home to the Dallas Mavericks on Saturday, losing 108-106 in a hard fought battle. The loss was Portland’s only home defeat besides losing to the Houston last month. The Blazers are second in points per game at 106.2, only second to the Rockets, the NBA’s highest scoring team at 107.5. It is easy to try and be contrarian and over think this matchup between the two highest scoring teams, but I am not going to do that. Both of these teams have been lighting up the scoreboard as of late, and the Rockets have learned to play with Dwight Howard. I am not sure who wins this contest, but I project it going over the total.